When kids have their own bank account it truly gives them a hands-on experience of handling and managing their finances. Most banks will allow kids to have a savings plan as early as you desire, as long as a parent’s name is on the account. 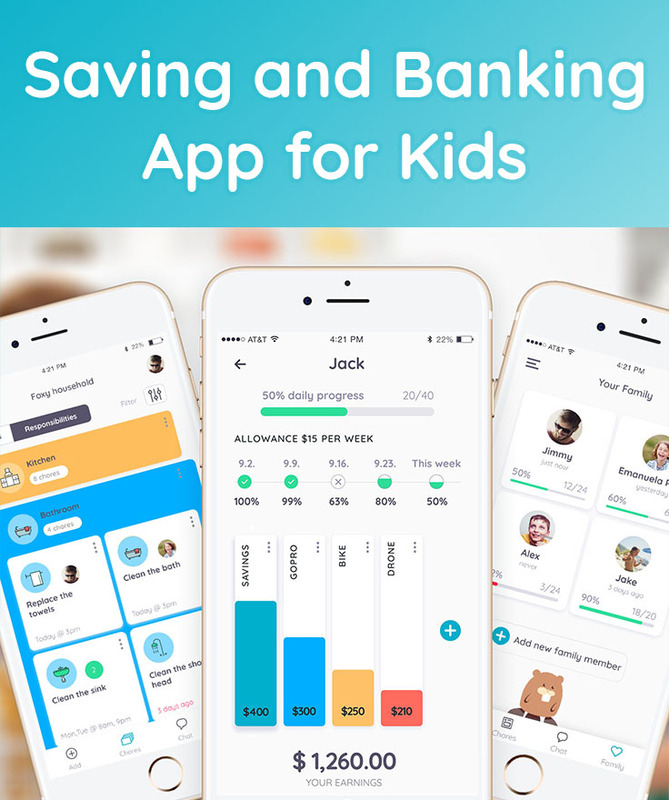 Within this new feature, kids have an option of using saving jars, where they can easily save for their long and short term goals, or parents can transfer their money from the chore app into a savings account to promote long-term savings. For parents who are looking to inspire kids to save more than spend, this app makes it super easy. Parents assign chores: the responsibilities that can lead to weekly allowance and a daily privilege like screen time, and jobs with a level of money that can be earned for each chore. The kid then completes the chores, can upload photos for proof and then parents can confirm that the chores are done. This allows funds to be placed inside the kid’s wallet within the app. Once your kids see that they have funds in their wallet, they can manage the money by putting it in their saving jars. It’s easy and simple enough for any kid to learn and parents can feel at ease knowing that they are overseeing their kids earning and savings. The reason to have a feature like this is that it truly helps teach money management skills in a kid-friendly way that can last a lifetime. While your kids are busy getting the house cleaned for you, they are also busy learning vital skills that will assist in ensuring the grow up to be money savvy adults.